We would like to introduce you to our bassets Farah Orejas Largas , Maggie May, Beauregard, Ruby Jane Moravia Bray, and Adeline Claire. Ruby Jane is a beautiful full European basset. 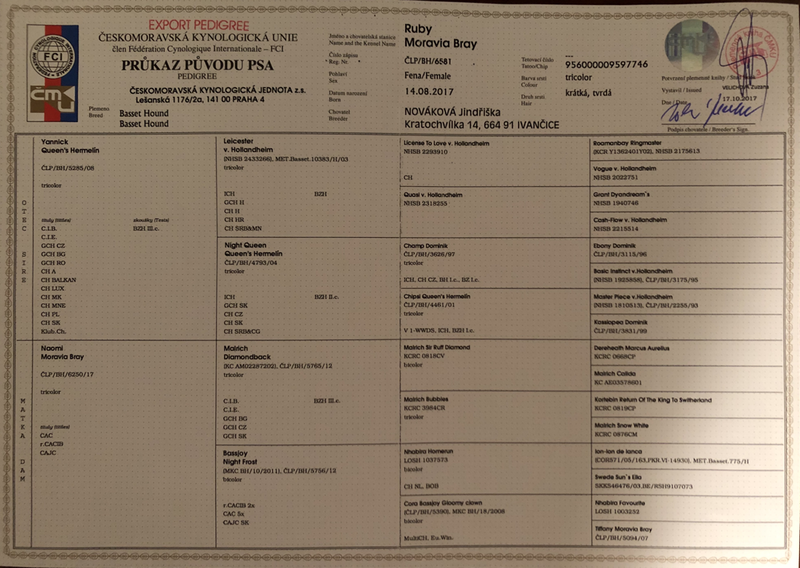 We imported this sweet girl from Moravia Bray in Czech Republic. 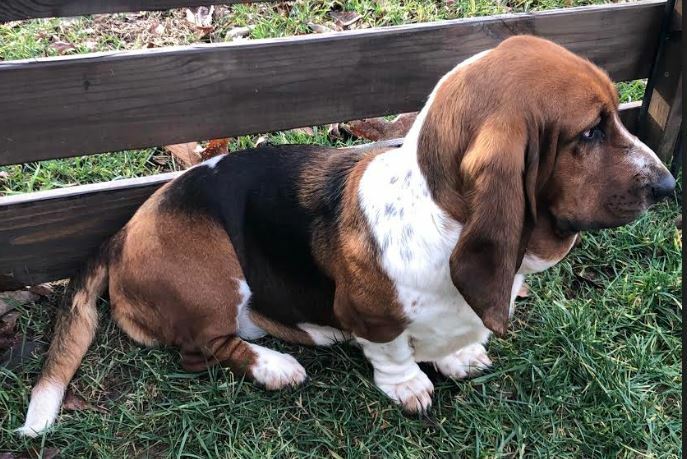 She loves romping around the farm and is playful with the other bassets and the kids. She is a beloved part of our basset family. "Beau" is a 100% Tri- Brazilian/European Basset Hound. His sire is a descendant of a wonderful line of Brazilian Bassets and his mother is from a championship European line. Beau has an endearing personality and has a gentle spirit. He likes to hang out with us during work days on the farm. Surprisingly, he loves water - be it bathtime or playing in the sprinkler. He is a love! Addie Claire, as we call her, is adorable. She playfully follows our every step and constantly seeks affection. 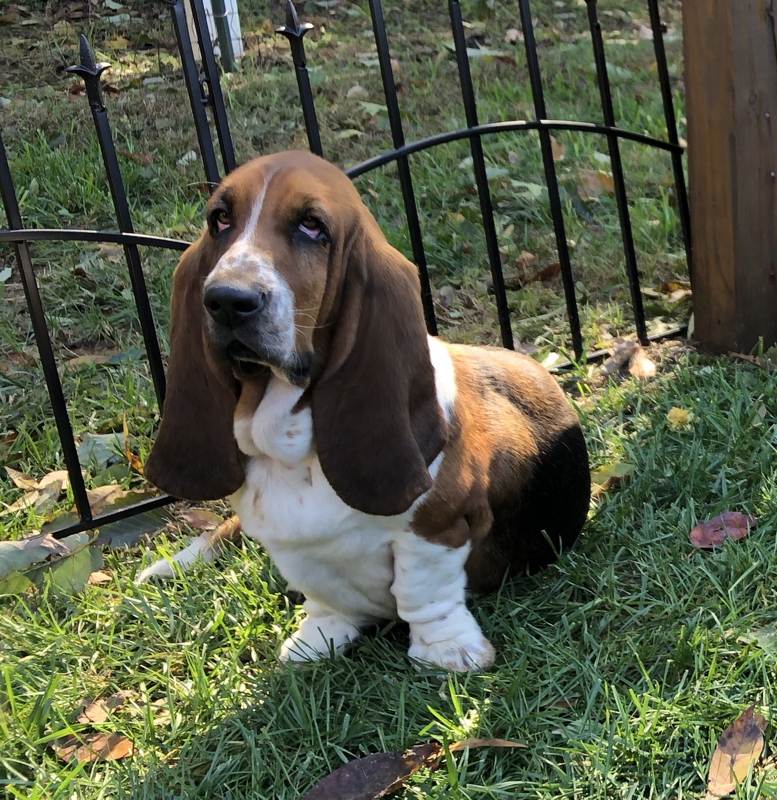 She can't wait until she is old enough to hang out with the adult bassets-always rubbing noses through the fence. She's a true beauty! 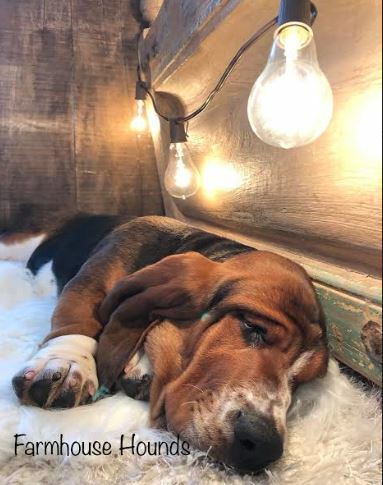 "Maggie Mae" is an AKC Registered Mahogany and White American Basset Hound. She is the foundation of our breeding program and has a special place in our hearts. Maggie is a sweetie, very energetic, and always in the mood for a belly rub. She loves to go for strolls around the farm. Especially, if she thinks she might have the opportunity to chase a squirrel. Most of all, she loves to play ball with the kids. Like most bassets, she has a great temperament. Such a sweet part of our family.